Thus mantras are techniques that can help people free their mind from thoughts that may be disturbing them or upsetting their balance. The origin of Mantra therapy. The origin of mantra mediation dates back to the Vedic period and tradition, which came before Buddha, where mantras were used as a tool for entering into states of consciousness. Throughout history, cultures across the world have believed that uttering certain phrases could influence the external world, or influence the gods who they believed had the most control over the world. 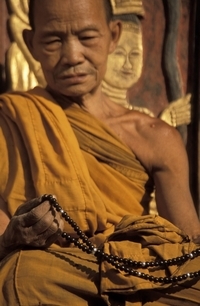 While ancient Buddhism used chanting as a way of practice, mantras didn’t come into Buddhism until the emergence of the Mahayana cultures, which used mantras as ways of communicating with their spirits. Buddhism then imitated the techniques as a way of invoking qualities of enlightenment. Mantras have similar beneficial effects as other sound therapy tools. Through the combination of sound, breath as well as rhythm, mantras channel the energy flow through the mind and body path, adjusting the chemical mechanism of the internal states and controlling brain-hemisphere imbalances, delivering you from too much anxiety. As well as delivering you from anxiety, mantra delivers you from the sense of reliance, from the unrelenting tendency of looking toward the senses for enjoyment. Although the initial stages of these techniques will deliver your agitated mind from its state of distress, eventually, reciting the mantras phrases will also arouse your experience as a spiritual being. Mantras work on the principles of vibration. Whatever you see on earth is comprised of vibration of energy which vibrate so as to a set frequency. Mantras, when recited, create vibrations which in turn create a resonance that corresponds to both a particular spiritual energy frequency as well as a state of consciousness. Eventually, the process begins to overrule other smaller vibrations, which ultimately become absorbed by mantra. After a period of time, the mantra absorbs all other vibrations. Eventually, it produces a state where you vibrate at the rate adjusted with the spiritual and energy state contained within the mantra. There are various kinds of mantras, each with a specific meaning attached to it depending on its effects at an energetic level. Not only do you need to pick the right type of mantra for you, but you also need to use it correctly if you are to get the results you desire. The mantra you prefer for your meditation should contain a considerable connotation to you. It must be something that you will be able to focus on for a long period of time. Also, it must be related to whatever you’re meditating for. Mantra can be just about anything if you’re the kind of person who has the ability to focus on something by clearing your mind, you might want to think about breathing as an option for your mantras. The best time to say mantras. The right time to recite a mantra is either in the morning or the early part of the day. Never chant a mantra too many times in the evening as mantra can energize your being, making it hard to fall asleep at night. For a mantra to be effect, it should be repeated hundreds of time throughout the day. If you chant mantra whole heartedly, you may hear the mantra instinctively being recited by your inner man. Traditionally, mantras are counted 108 times, although i is common to repeat a mantra 5, 11, 25, 51 or even 101 times. There’s lots of symbolism in the repetition, but if you lose count don’t worry. It is the entering into mantra’s consciousness that counts and not the number of time mantras are chanted. Mala beads, like rosary and most prayer beads contain 108 beads that aid you to keep track of the repetitions. Throughout history, cultures have used mantra owing to its amazing abilities to transform the body, mind and soul. Mantra therapy is available to all people and it is not restricted by price, location, space, or time. In addition to this, it is flexible and fits well with any situation and circumstance. This entry was posted in Mantras, Meditation, Spirituality and tagged energy, enlightenment, Mantra, Mantrik, meditation, spirituality by Mantrik. Bookmark the permalink.